Quick and easy brand new baby/toddler quilt 44×60. 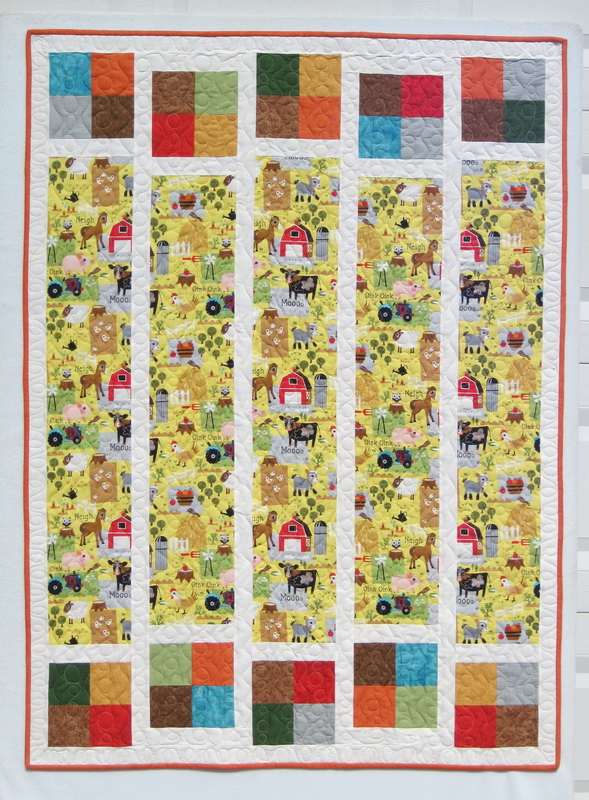 Had fun designing something for new “farm” print at PICKET FENCE QUILT CO, Wichita Ks. This fabric is directional, but pattern is designed for non-directional also- and it uses the same yardage for either one. 4-Patches use 9 coordinates, but I gave an option to use just 2 colors if you choose. Most fun part of this simple ditty is it’s a “mini” . One sheet instructions packaged in a small 4×6 baggie. First time for this sales option. Am looking forward to designing more “mini packages”.